Or it did this morning when you outlined your project concept. But now you're in a bind. You've got an idea but you aren't sure how to bring it about in three dimensions. And you need it done. In two weeks. So you call Johann's, and breathe a little easier. 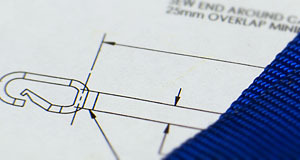 Custom sewing is one of our specialties, whether it's pre-production prototype work or for-production manufacturing. Small jobs or big jobs, we do it all. Johann's works with you to meet your technical specifications, so you can achieve your project goals on time, every time. Whether it's project consultation, prototype development, a custom one-of-a-kind item, or small run production sewn goods, we're here for you. We can help you to produce pretty much anything you need made, working with you or with your engineers to design the product exactly the way you want. We also offer our own years of experience and expertise to aid in the development of your designs. For materials, we have access to a wide variety, and most of our suppliers are in the Northwest and only a day or less away. For larger jobs, we can make site visits within a certain distance from our location. Turnaround time averages fifteen days on most jobs but can take longer with larger/more complex jobs. We can do rush work by special request, and we extend billing terms for commercial accounts. As with everything we do, our estimates are free. So whatever your project, Johann's is only a phone call -- or a click -- away. Is your board room in need of refreshing? Are your lobby chairs a bit... tired? Are the beds in your clinic a bit worn? From offices to hospitality to medical, Johann's offers a full line of commercial upholstery services. For jobs from large to small, we can help your business improve its image. 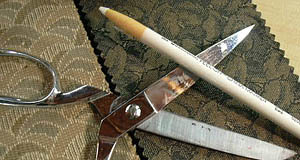 We offer a full line of fabrics from traditional weaves through to vinyls and waterproof surfaces. Better still, we will work with you on timing our work to provide the minimum disruption to your business. Reliable, flexible, quality: these are the hallmarks of our commercial upholstery services. For a free quote, please inquire.